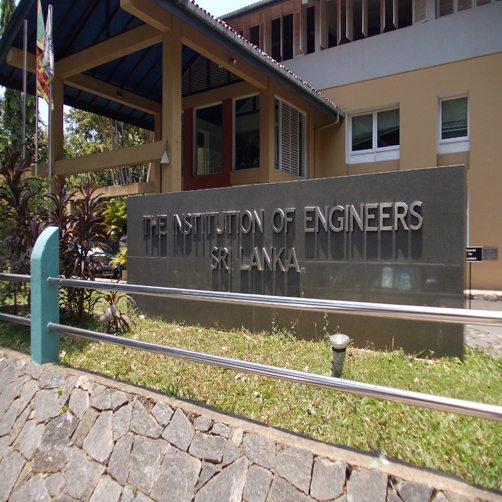 The Institution of Engineers, Sri Lanka (IESL) which is the premier professional body for engineers in Sri Lanka has gained reputation for its excellence in providing engineering education in the country. Its part-time engineering course which is recognized as an equivalent to engineering degrees offered by state universities in the country fulfills the academic qualifications required to become a fully-fledged engineer. The qualification is well recognized to gain employment as a qualified engineer, both in the state and the private sector. Thus the IESL Engineering Course is a top choice for those students who wish to become an engineer. • Communication and computer engineering. Students who satisfactorily complete the course are eligible to become Associate Members of the IESL, a professional qualification, paving their way to a successful career as an Engineer. On successful completion of the Certificate level Stages 1 and 2, students are eligible to receive IESL Engineering Certificate. On successful completion of the Advanced Diploma Stages 1 and 2, students are eligible to receive IESL Engineering Advanced Diploma. Graduate Diploma – approximately one and a half years. The Graduate Diploma course consists of eleven subjects and a project. On successful completion of the Graduate Diploma students will be awarded the IESL Engineering Graduate Diploma. The theory classes of the course are conducted at the IESL headquarters in Colombo, during the weekends, to allow students who are already employed, to follow the classes at ease. The practical sessions are conducted at the University of Moratuwa and the Open University of Sri Lanka. The medium of instruction is English. The highly qualified and dedicated academic staff consists of part time lecturers from the Engineering Faculties of the state universities and the industry who make every effort to create a stimulating academic environment to promote and enhance innovation among students. Fax : 011 2 699 202. I am completed Bsc in physical science at south eastern university , NCT civil in sammathurai technical college and city and guilds graduate diploma theory only .which level I can follow in IESL institute ..sir ? Can you give me your guide? Can I please get some information on the aptitude exam?